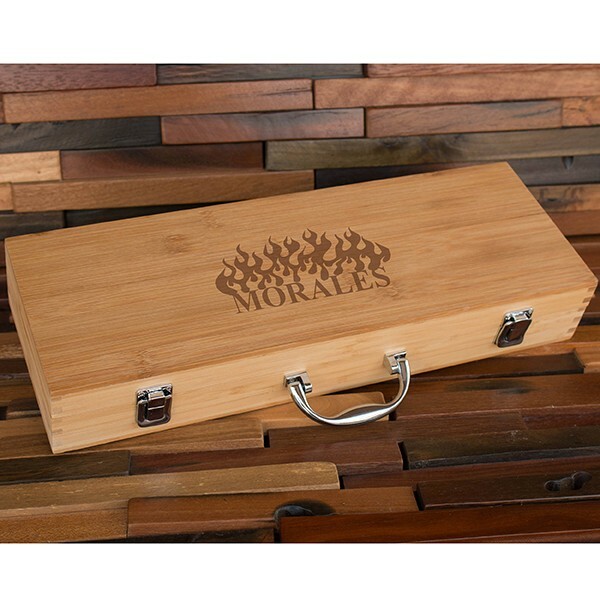 This grilling case can be engraved with your personalized details. 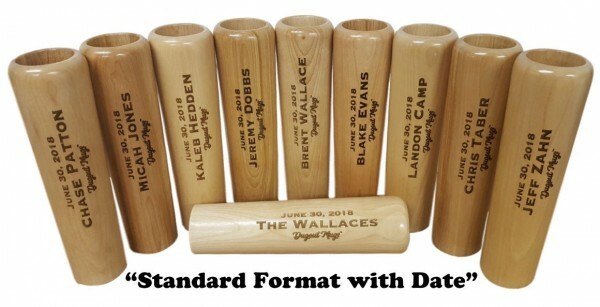 Choose from 9 different designs and 6 font options! 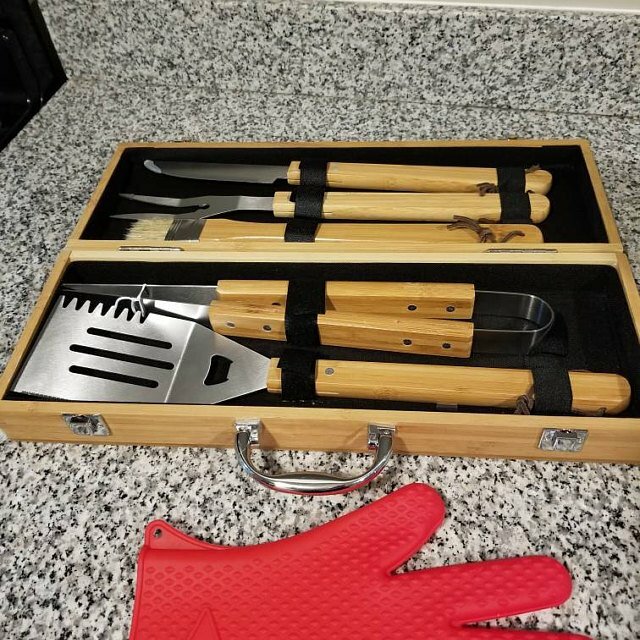 Made from solid bamboo and stainless steel this BBQ set is the choice for you. 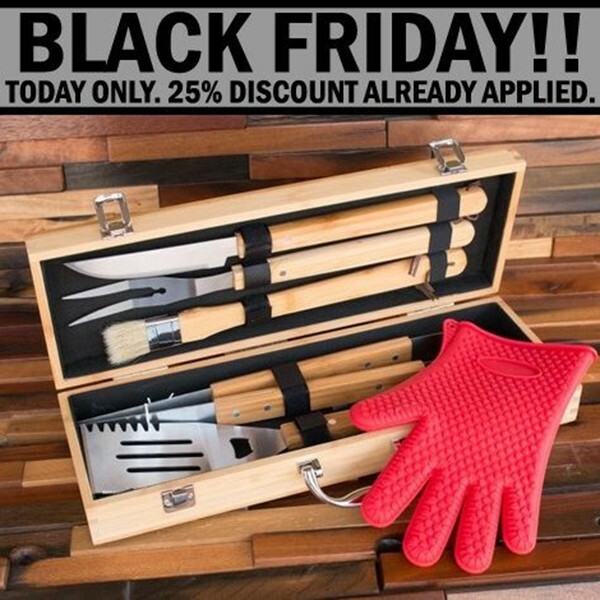 BBQ Gift set includes 1 bonus silicon cooking glove which is heat, slip and water resistant! 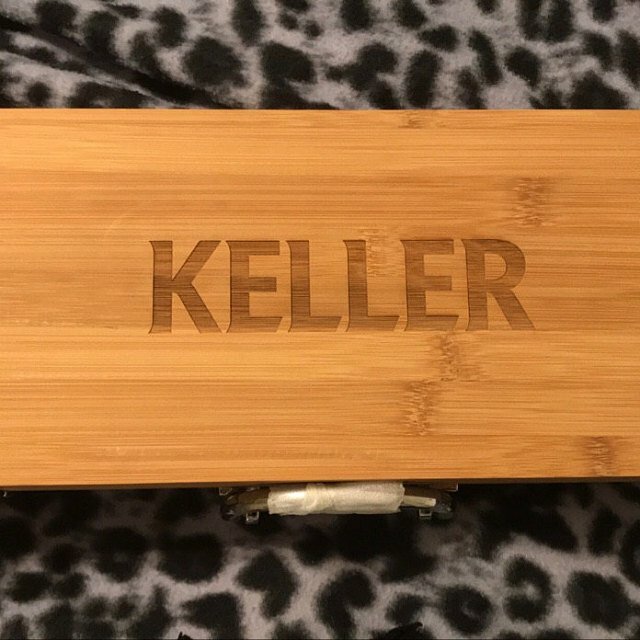 *Please note, due to the nature of bamboo the engraving may appear in lighter and darker colors. 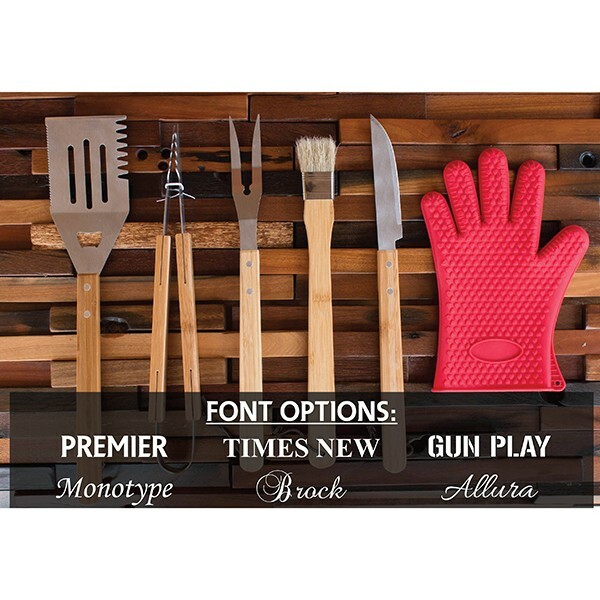 - 11 Piece Set Includes: Bamboo Travel Case, Spatula, Tongs, Brush, Fork, Knife, 4 steel skewers and 1 Heat Glove! - Order blank or choose from 9 designs! 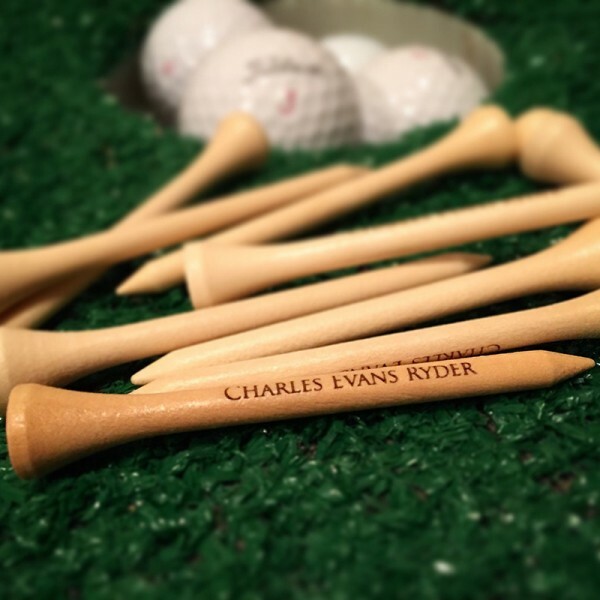 You will receive your order after about 2 - 3 weeks due to so many orders during Christmas. This came super quick. I didn't even wait a whole 7 days; six to be exact. My husband loves it. This awesome work. 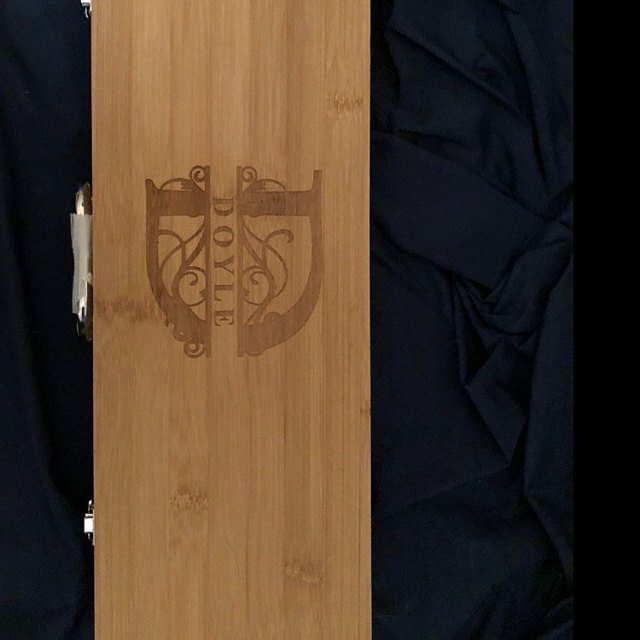 I love it and I know my boyfriend will love it for christmas... incredible engraving as well..
Looks exactly as pictured, was shipped less than 24 hours after placing order and arrived 5 days after purchasing. 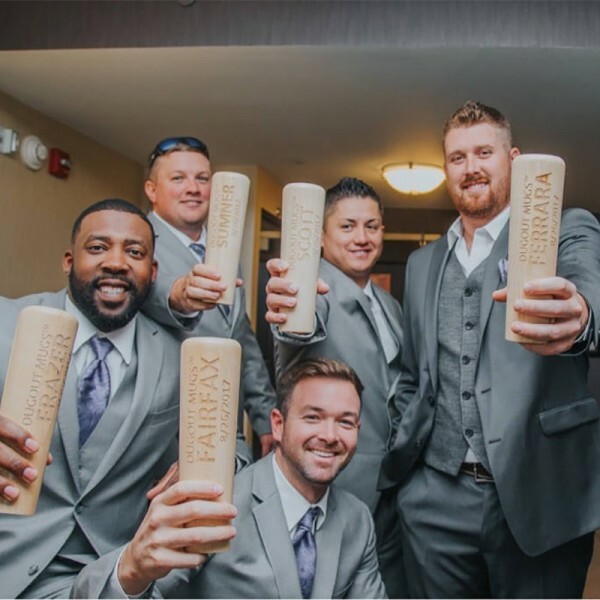 High quality product and the perfect gift for my man! Got here super quick and looks amazing! Got here super quick and looks amazing! Very nice quality tools inside as well. Great quality!! I was very pleased with it, and my boyfriend loved it. Amazing product! 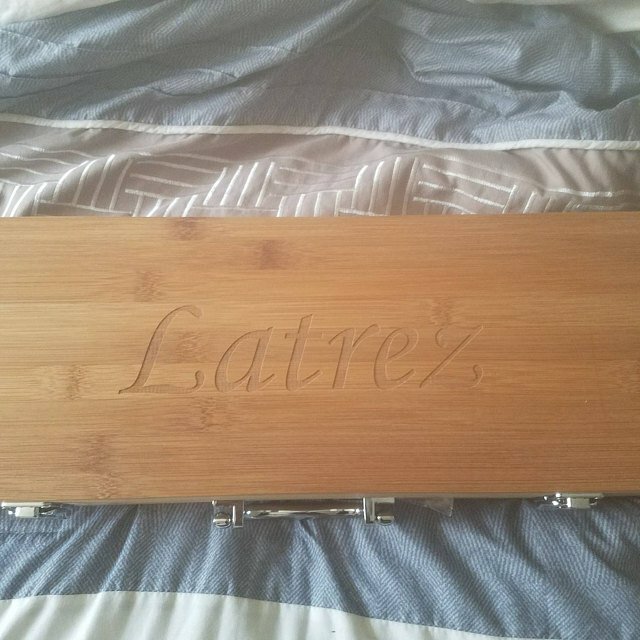 This seller was the most communicative shop owner I've ever bought from, the tools are sturdy, and the engraving was my husband's favorite part. This made a perfect Valentines Day gift for him! AMAZING! I got this as a gift for my boyfriend and we couldn’t be more thrilled. Marc did an incredible job, it came fairly quickly, and we can’t stop staring at it. Thank you!! 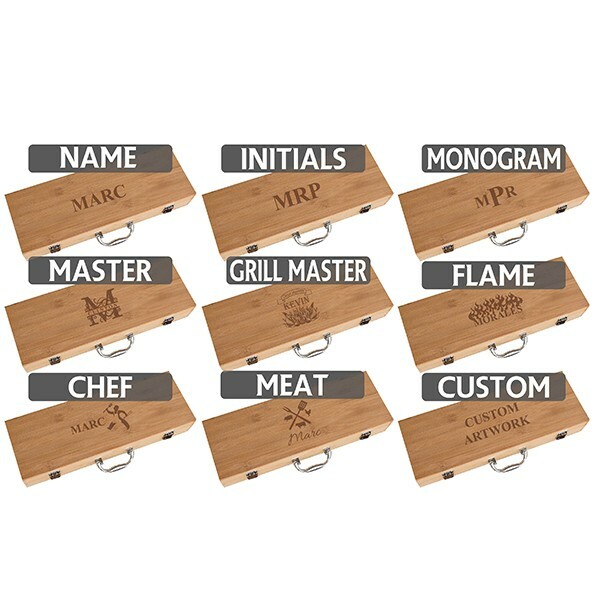 All of the personalized engraved cook out kits turned out perfect! 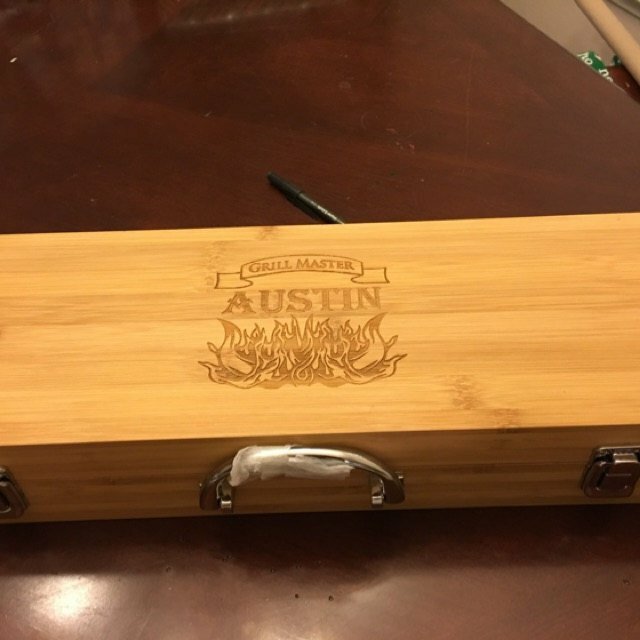 All of the personalized engraved cook out kits turned out perfect! Will definitely be back to purchase more things in the future! 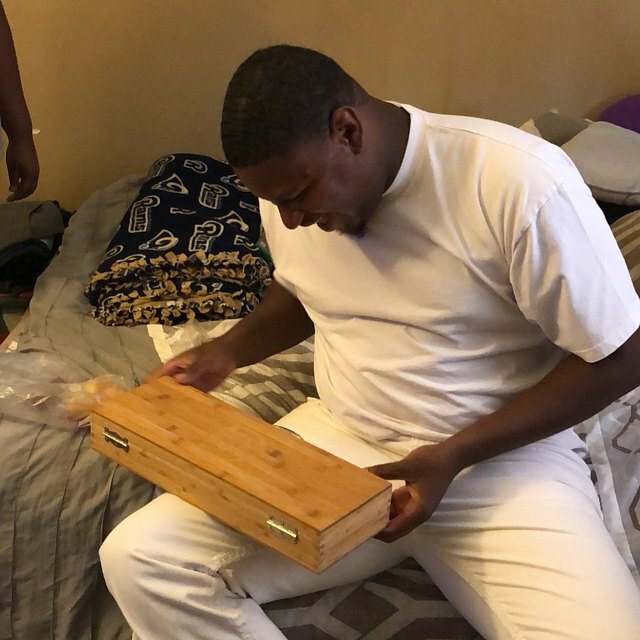 He loved it!!! Thank you!! If I could rate 10 stars I would. Seller is wonderful and very responsive. You can see the dedication and work he puts in his products. I will recommend to everyone to purchase his products. 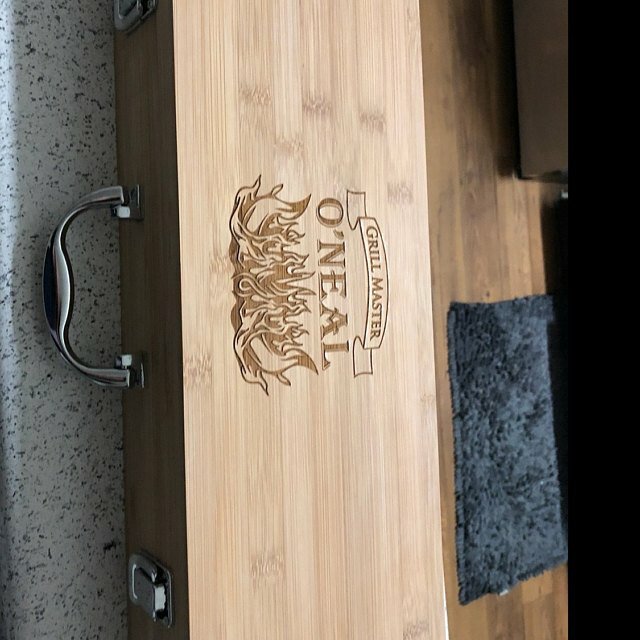 I can’t wait to gift it to my man! Thank you! 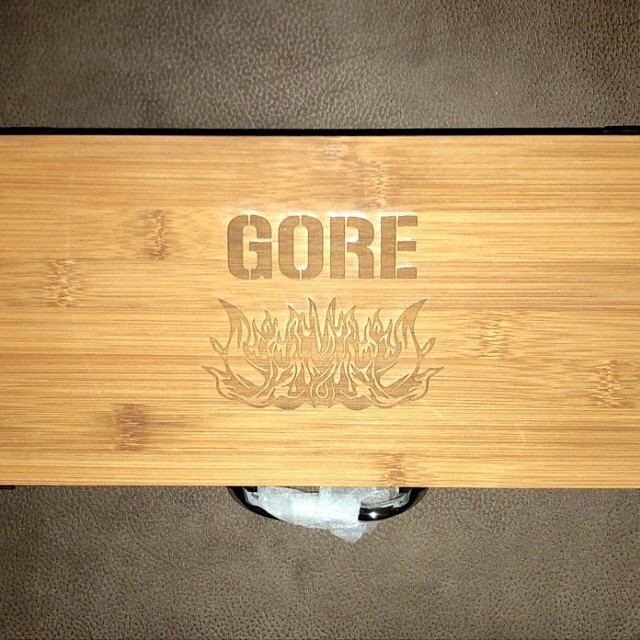 Question about Personalized BBQ Set is Successfully Submitted.